Introducing PHILTHY. Former member of Prince and the New Power Generation, Philip Lassiter is a household name in the music industry and 7 time Grammy award winning arranger. To attempt to truly define the bombastic brilliance of this jazz trumpeter turned singer-songwriter would be like trying to catch a bear with a mousetrap. A multi-faceted, multi-instrumentalist, Philthy's piano is his pulpit as he commands the stage with the bravado of a revolutionary. With the best backing band in Los Angeles as his army, it’s an invasion of the senses that leaves your body aching for more and your feet tapping the beat for days to come. 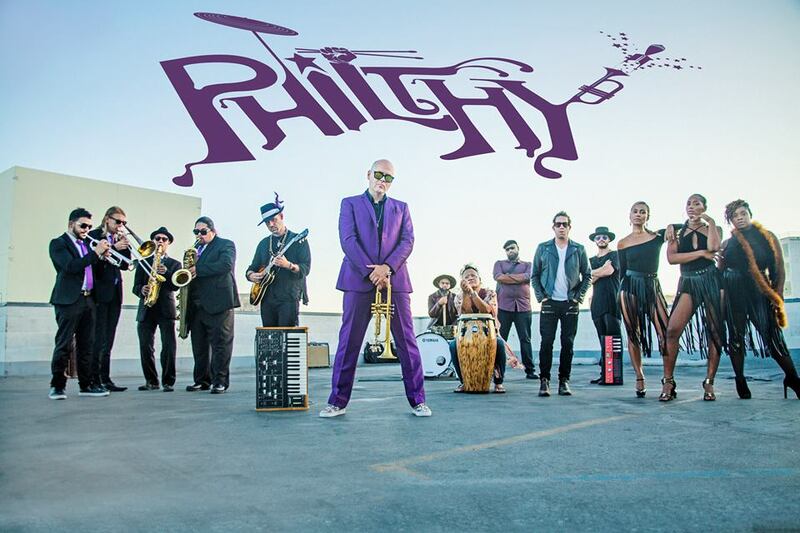 Two decades of gospel, soul, R&B, funk, jazz and salsa sounds were colliding ideas inside Philthy’s brilliantly twisted mind like a tornado fighting a hurricane. 8 years in Dallas, TX were to bring these inspirations to life, under the wing of some of the most talented cats on the planet. Bernard Wright, Bobby Sparks, Keith Anderson and so many others messed up his mind in the best possible way, as his talents opened new doors in a crazy musical wonderland. As an arranger with multi-platinum artists including Kirk Franklin, Ariana Grande, Fantasia, Kelly Rowland, Jill Scott, Fred Hammond, Al Jarreau, Anthony Hamilton, Ledisi, Regina Belle and Timbaland, Philthy scooped 7 Grammy Awards and gained due respect as one of the premier horn section arrangers in the business. …bring the soul of San Francisco to their music and live show. The band shares an extreme passion for the music of 60’s and 70’s soul, funk and jazz… the classic sounds of Motown, Stax, Daptones and Blue Note Records but with a fresh and original spin. Their fresh approach brings a wide array of infectious dance grooves to their high-energy live show. “Our ultimate goal is to connect with our audience, get you to feel the groove that makes you want to dance,” says band leader Jason Movrich. 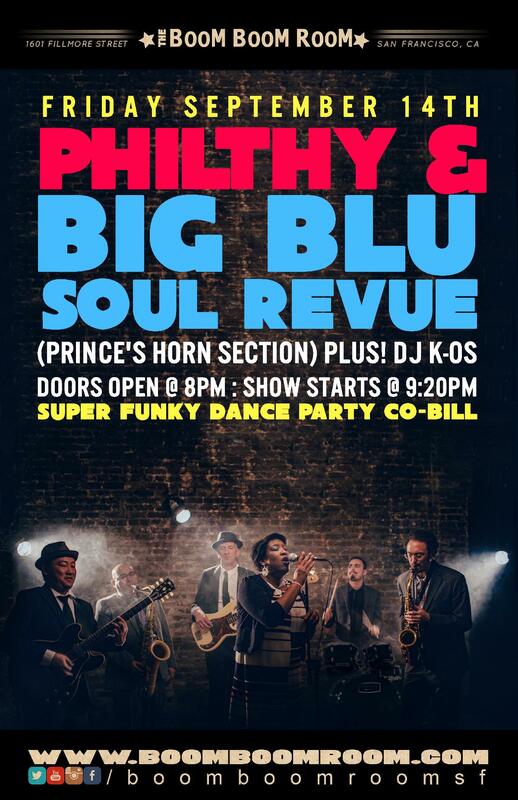 Big Blu Soul Revue is one San Francisco Bay Area’s hottest live Soul, Rhythm & Blues bands. 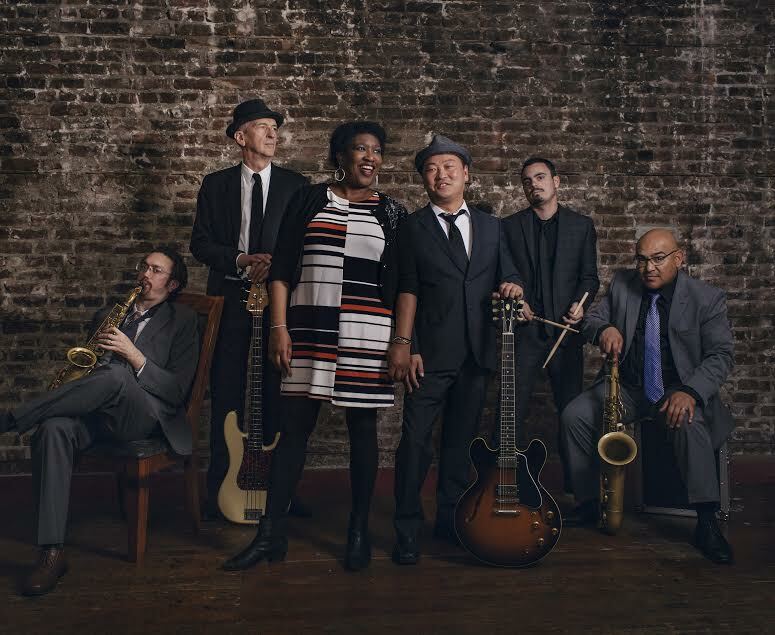 The band blends an amazing mix of classic and modern Soul, Blues, R&B, Funk and Dance. The group features long-time Bay Area guitarist & vocalist Jason Movrich (The Mission Players). He brings his Chicago blues inspired sound to mix with the West Coast Jazz, Soul and Funk.